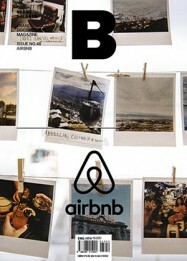 In 2008, three young entrepreneurs founded Airbnb, a community marketplace for people to monetize their extra space. With more than 2 million listings in myriad cities across the world, the Airbnb of today has grown into a multibillion-dollar company that is shaking up the hotel industry. With a firm belief in the idea of living like a local, Airbnb is now seeking to go beyond the home and revamp the ordinary traveling experience.